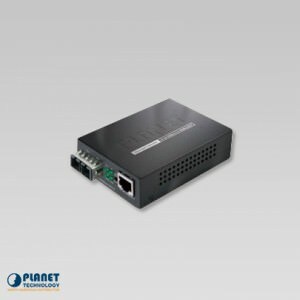 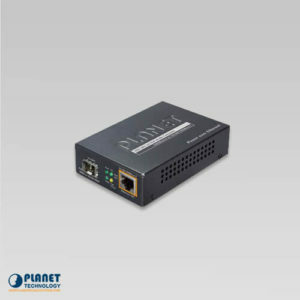 The GT-905A from Planet Technology offers dependable Gigabit fiber performance and allows conversion between 10/100/1000Base-T and 1000Base-LX / SX network. 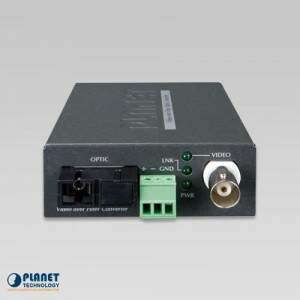 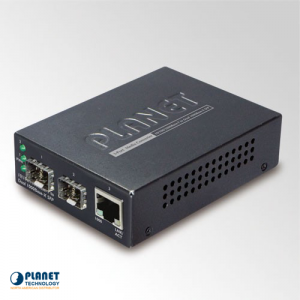 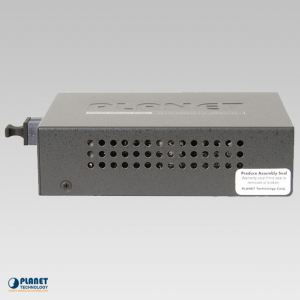 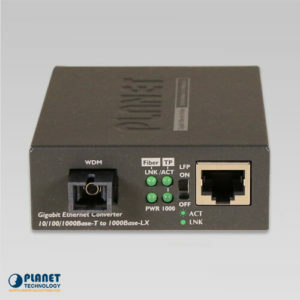 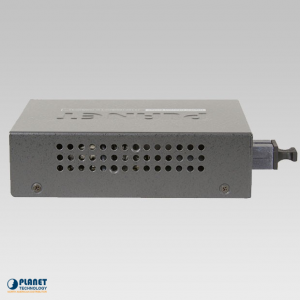 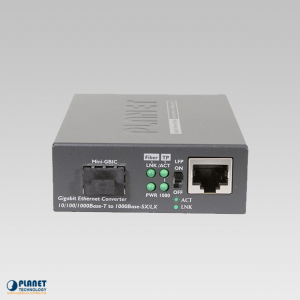 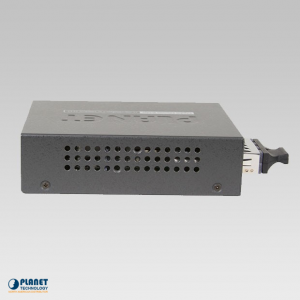 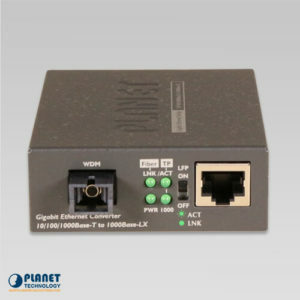 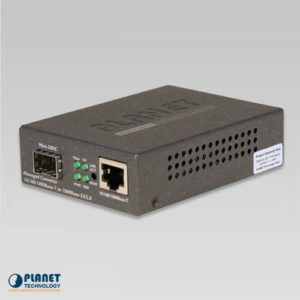 PLANET has developed the video over Gigabit fiber media converter kit, VF-106G-KIT, which is ideal for extending the distance and signal conversion by transmitting the AHD/CVI/TVI/CVBS video and data over the fiber-optic cable. 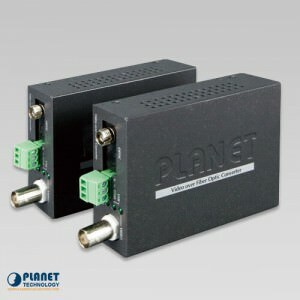 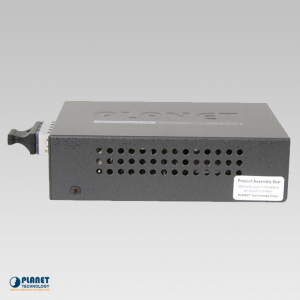 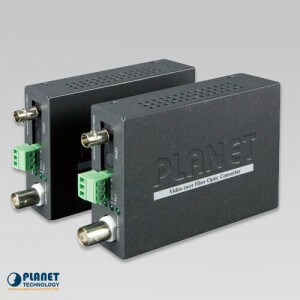 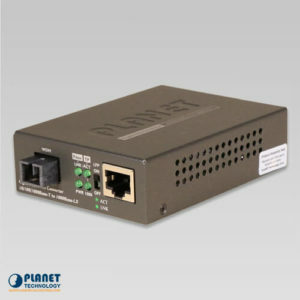 PLANET has developed the video over Gigabit fiber media converter kit, VF-102G-KIT, which is ideal for extending the distance and signal conversion by transmitting the AHD/CVI/TVI/CVBS video and data over the fiber-optic cable. 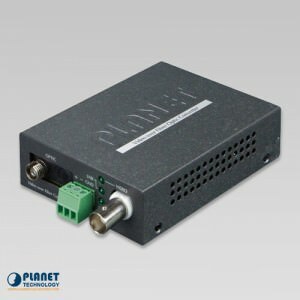 PLANET has developed the video over Gigabit fiber media converter kit, VF-101G-KIT, which is ideal for extending the distance and signal conversion by transmitting the AHD/CVI/TVI/CVBS video and data over the fiber-optic cable. 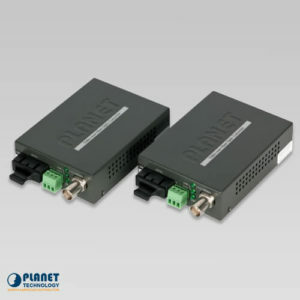 The GT-805A from Planet Technology is a 10/100/1000Base-T to 1000FX (SFP) Media converter. The GT-1205A offers 1 TP and dual SFP ports and supports conversion between 10/100/1000Base-T and 1000Base-X networks. 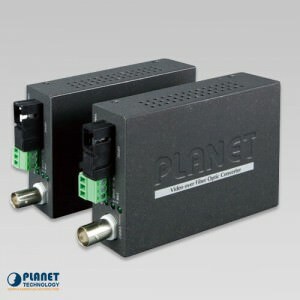 The VF-102S15-KIT, by Planet Technology, is great for signal conversion and it transmits the data and the video footage through the fiber optic cable. 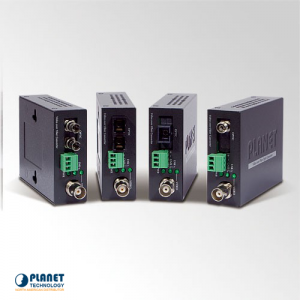 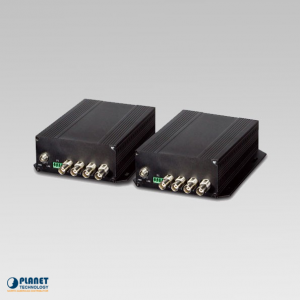 The VF-106-KIT, by Planet Technology, is great for signal conversion and it transmits the data and the video footage through the fiber optic cable. 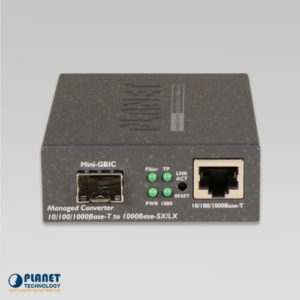 The IGT-805AT is an Industrial 10/100/1000BASE-T to 100/1000BASE-X SFP Media Converter with operating temperature ranges between -40 to 75 degrees C.
The IGTP-802TS from Planet Technology features a fiber optic link capability that allows for the extension of the network range. 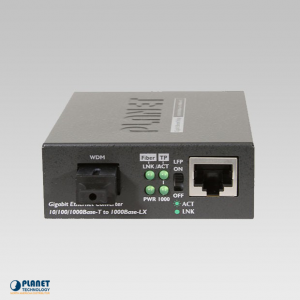 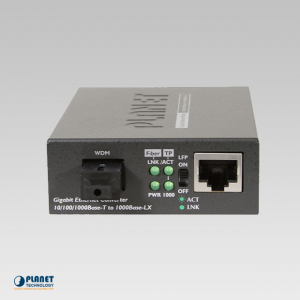 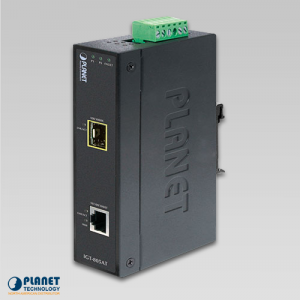 The IGTP-802T from Planet Technology features a fiber optic link capability that allows for the extension of the network range. 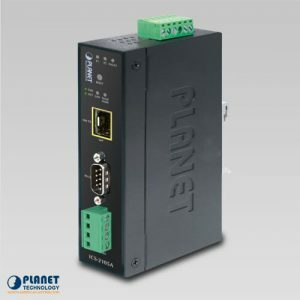 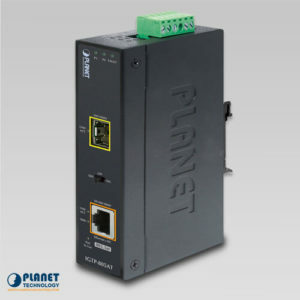 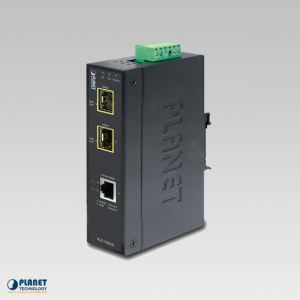 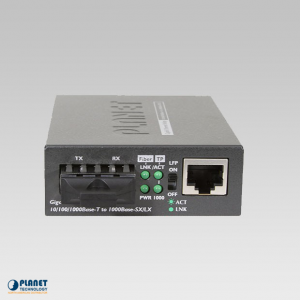 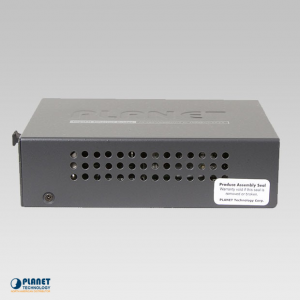 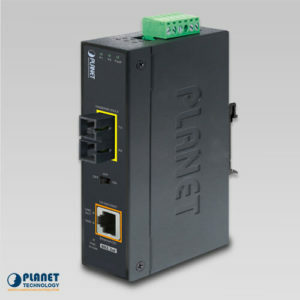 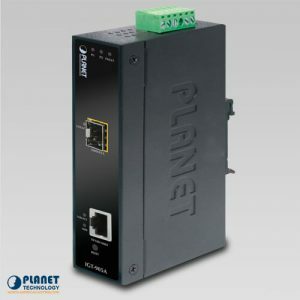 The ICS-2105A from Planet Technology is a efficient Serial over Ethernet Converter crafted to convert serial RS-232, RS-422 or RS-485 communication to Industrial Fast Ethernet networking.